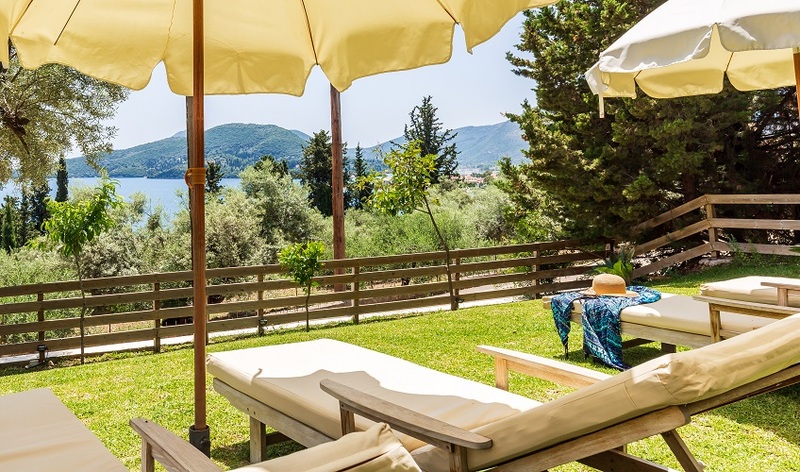 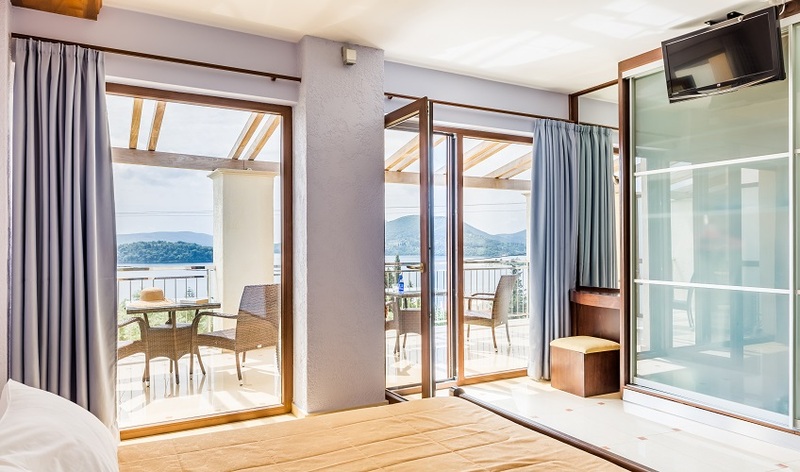 Situated on the lower slopes of the protective mountains that rise steeply above the sheltered inlet of Vlichos Bay, this well-appointed villa enjoys one of the most spectacular views in Lefkada. 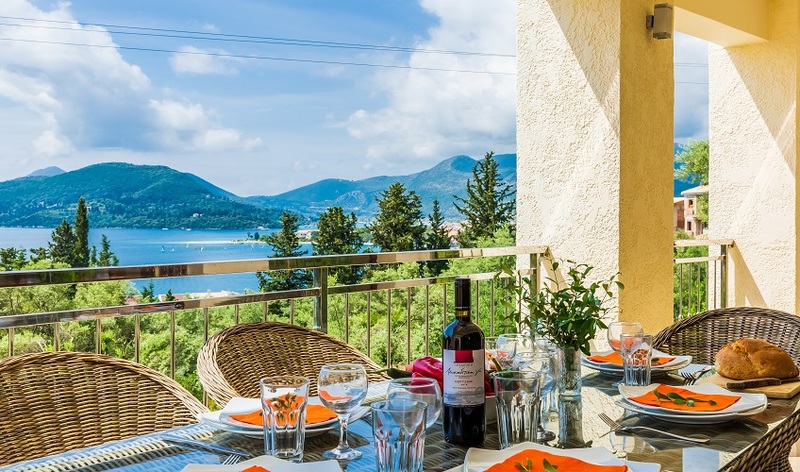 It looks out over the rooftops of Nidri and the village of Perigiali and the bay past what was once Onassis’s sanctuary island of Skorpios, to Meganisi and Kalamos and the smaller islands dotted across the Inner Ionian Sea. 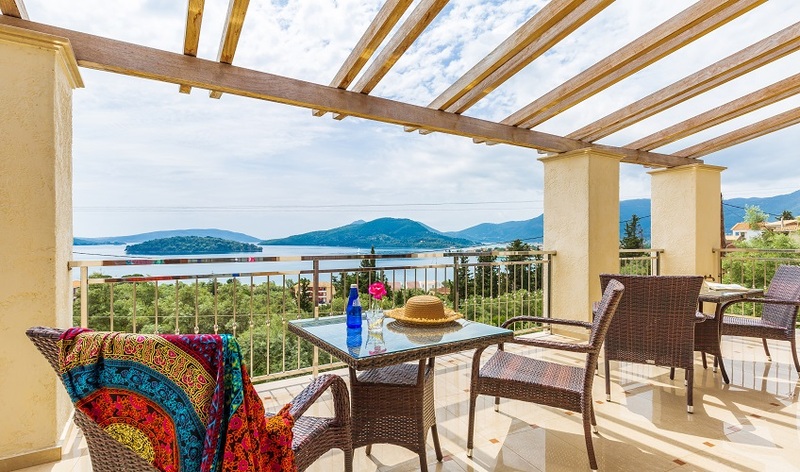 With such a view, no expense has been spared in the design and layout of the villa. 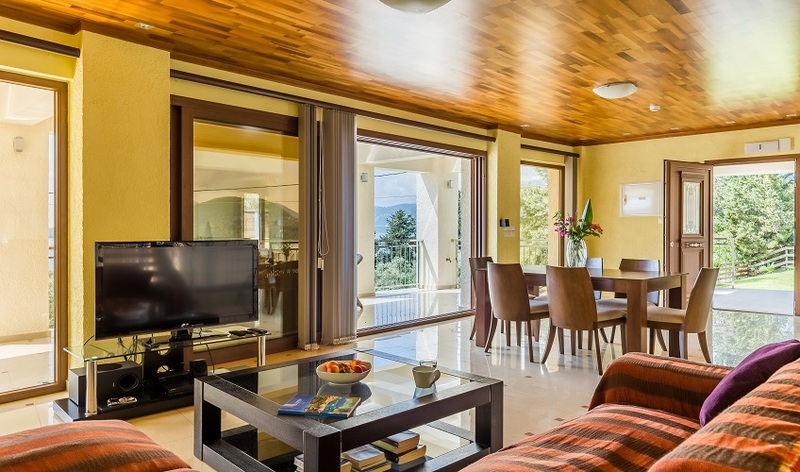 Set in a landscaped garden, with mature trees, lawns and flower beds, virtually every room shares the same spectacular outlook. 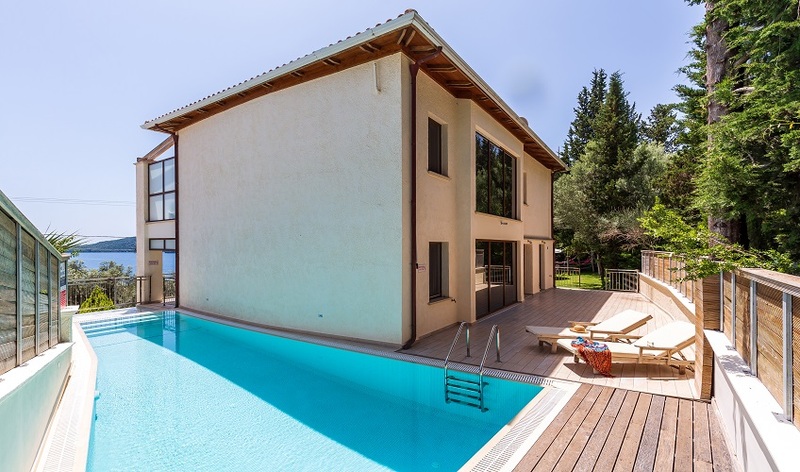 The private swimming pool is situated next to one side of the house, whilst open steps lead up in front to the main entrance on the first floor. 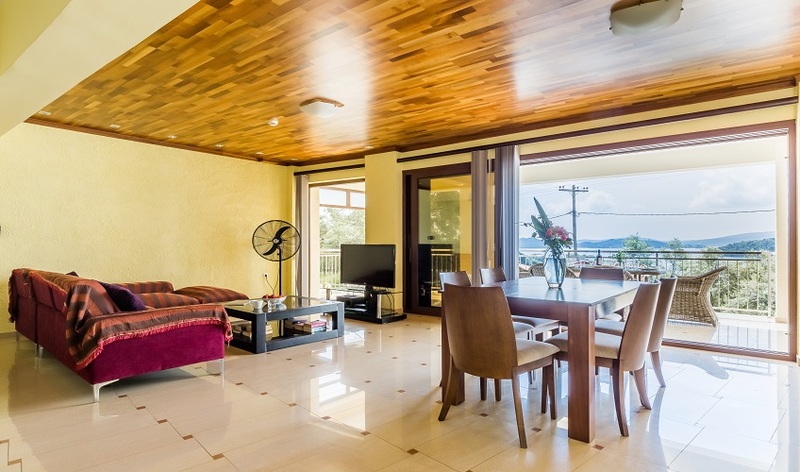 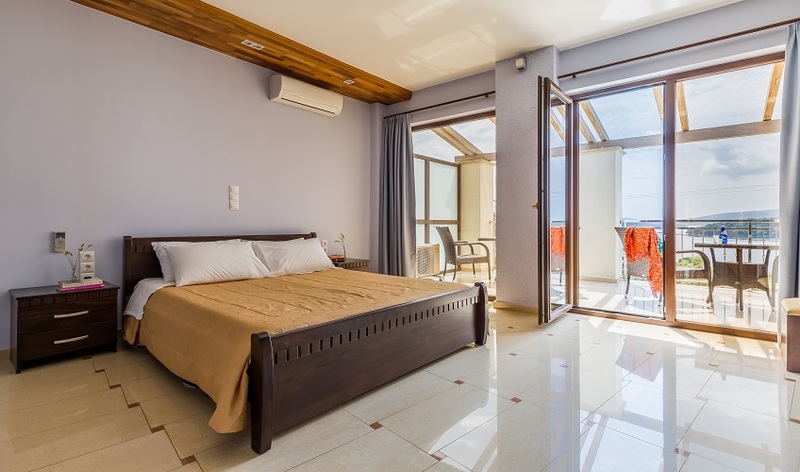 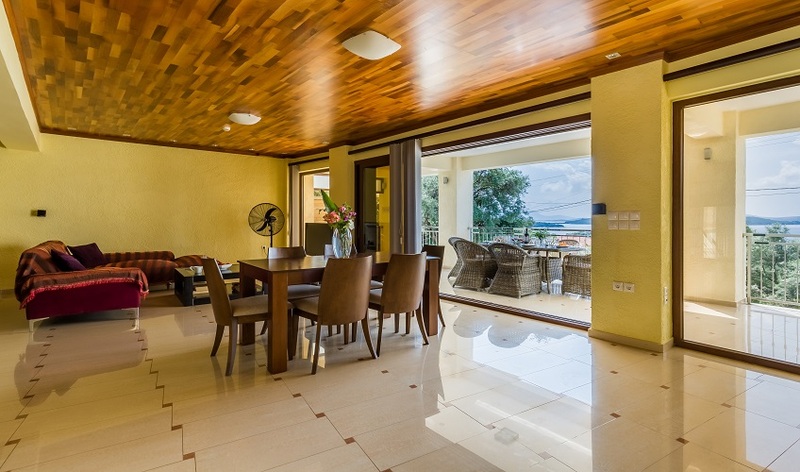 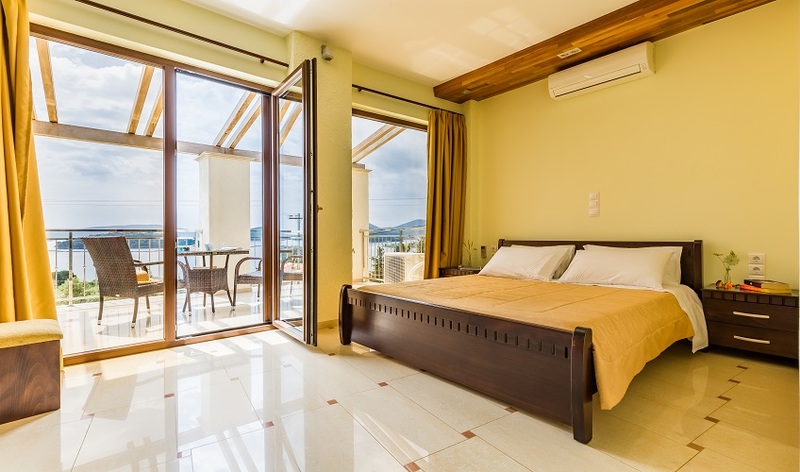 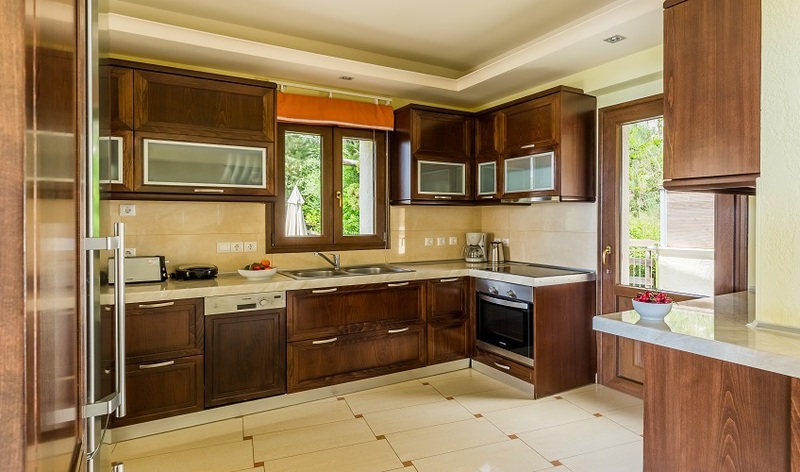 The spacious living/dining area furnished in a contemporary style has picture windows looking out over the bay opening into an equally well laid out and fully equipped kitchen. 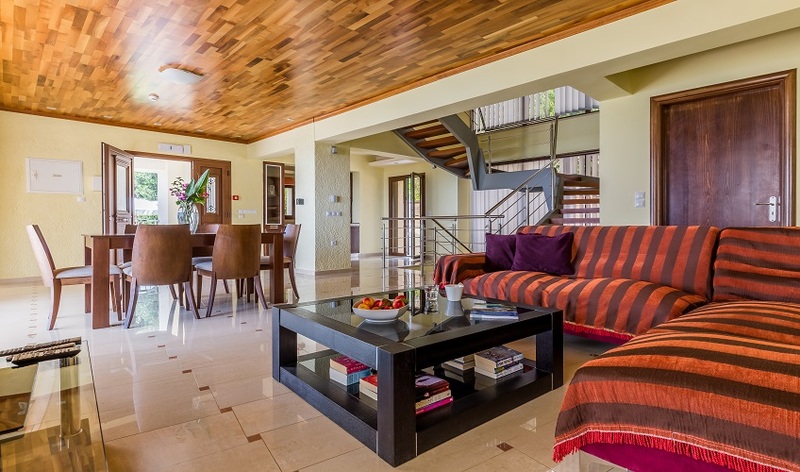 A striking atrium-like staircase leads up to the first floor with its three stylish bedrooms, two with their own balconies to the front. 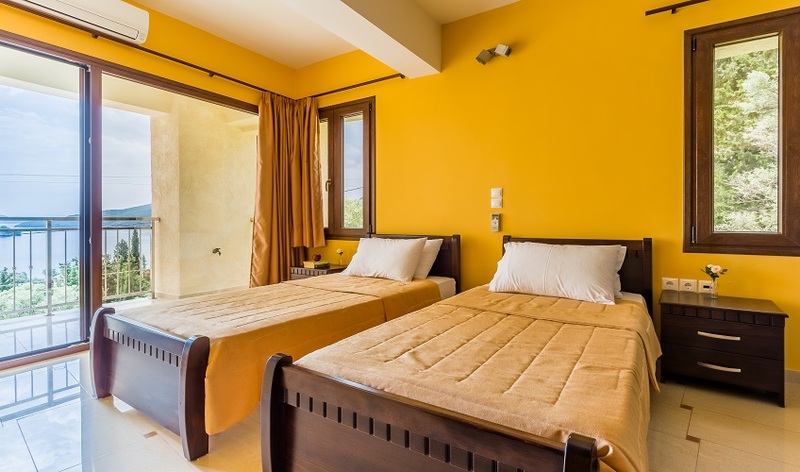 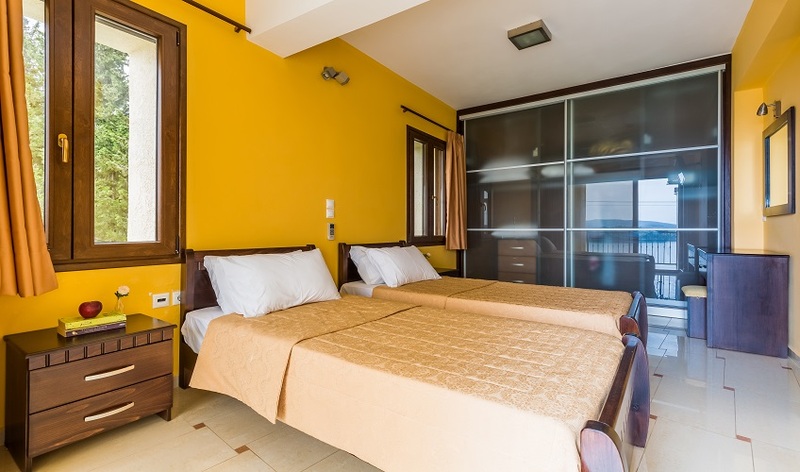 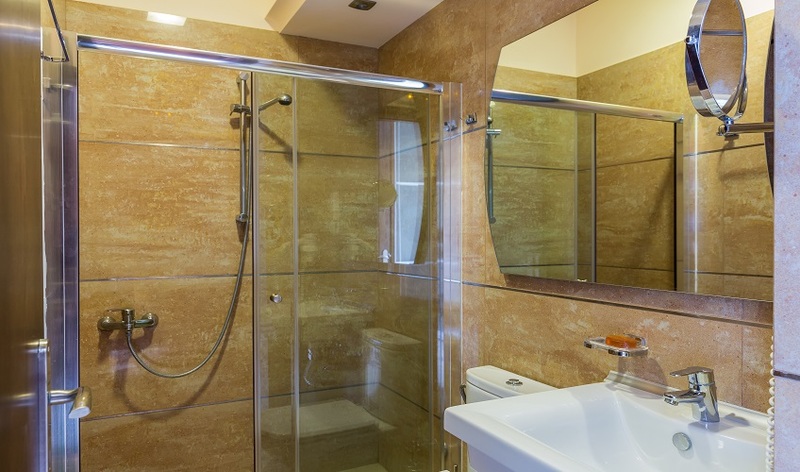 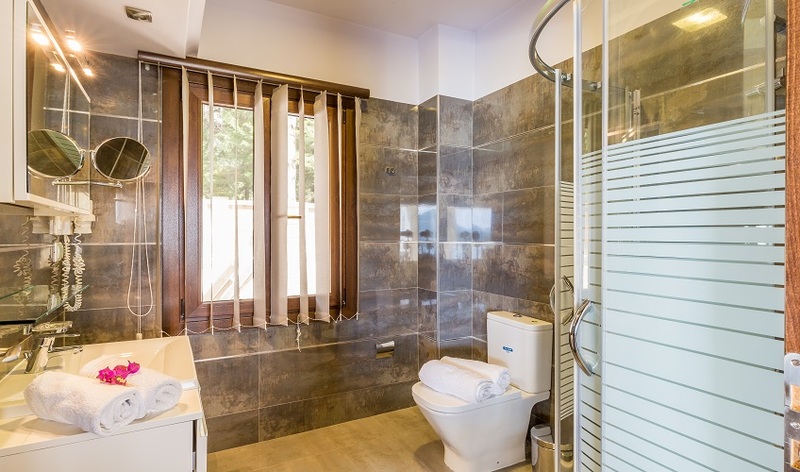 The master double bedroom has an ensuite bathroom with Jacuzzi, the second double bedroom and a twin-bedded room both have en suite showers. 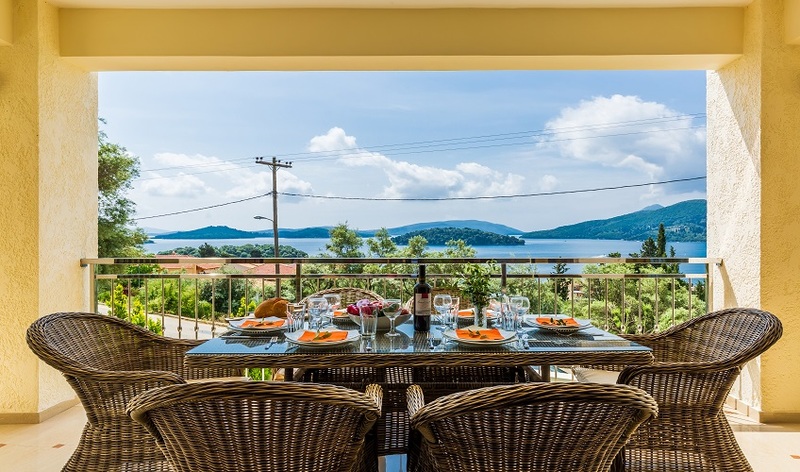 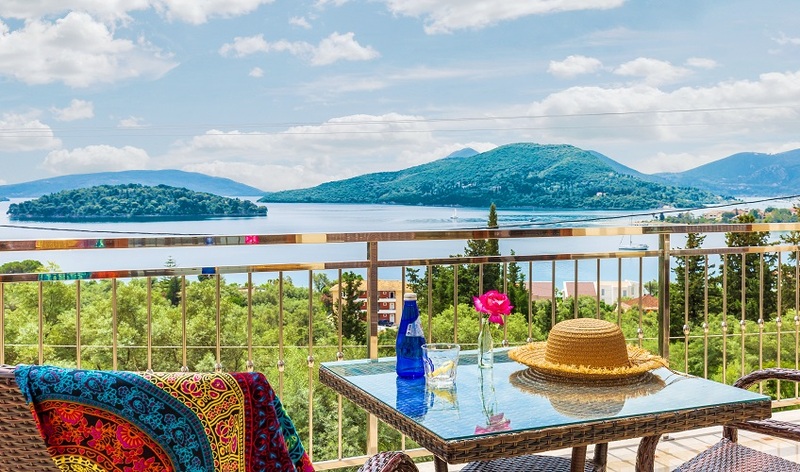 Perigiali translates as “Above the Beach”, and this villa is situated even higher, with the advantage of a idyllic location but close to all the amenities of nearby Nidri, a bustling resort, yacht haven and ferry port. 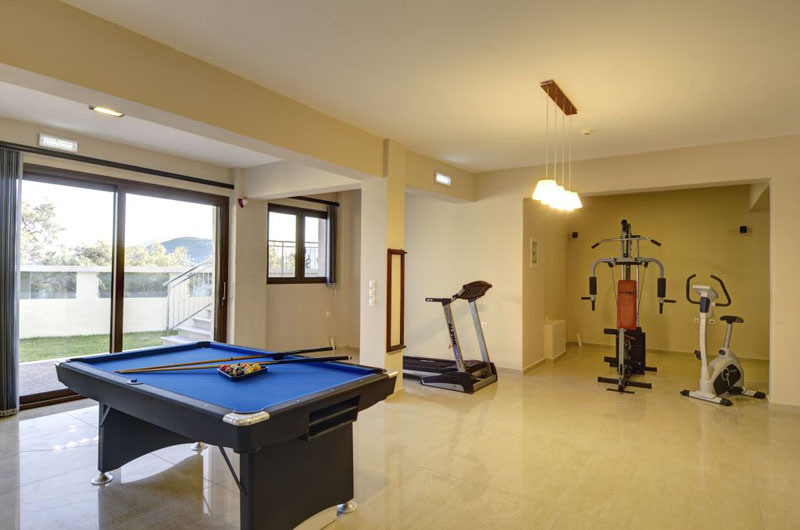 For the energetic members of the party, a wide selection of watersports is available in the vicinity, and numerous trails lead up ravines into the mountains. 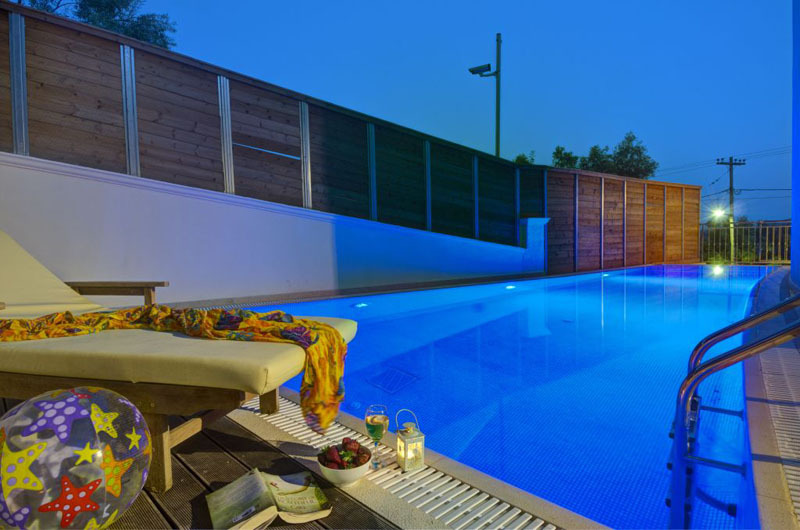 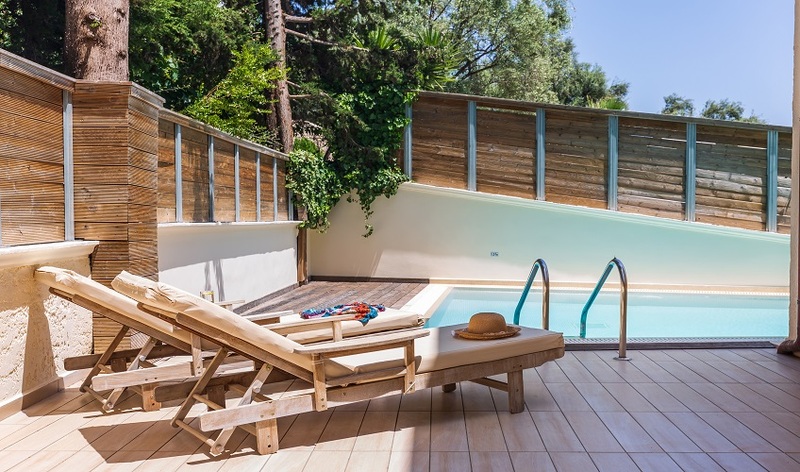 However if you should feel a slight twinge of guilt by relaxing by the pool or in the gardens, fear not, the solution is close at hand with a fitness room situated on the ground floor of the villa, including a pool table! 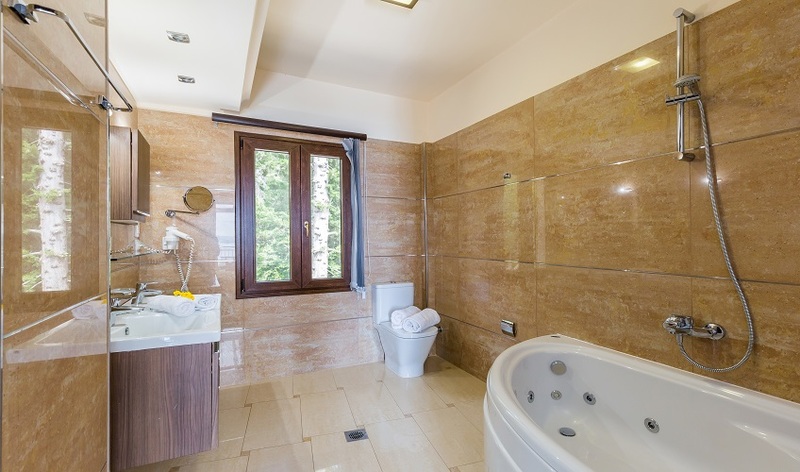 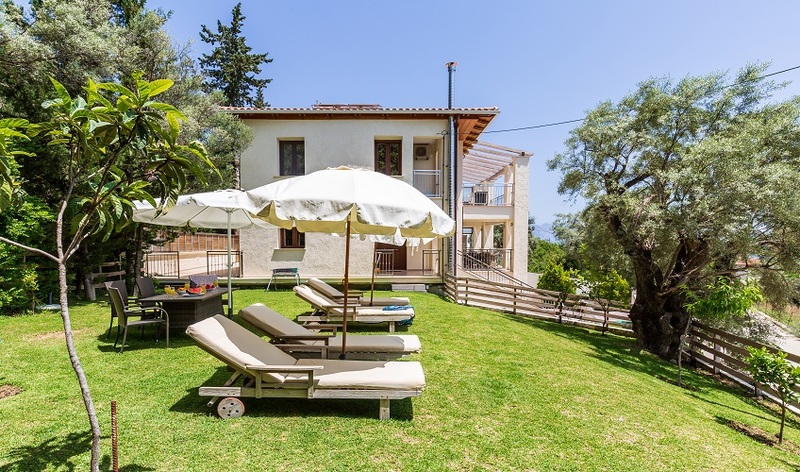 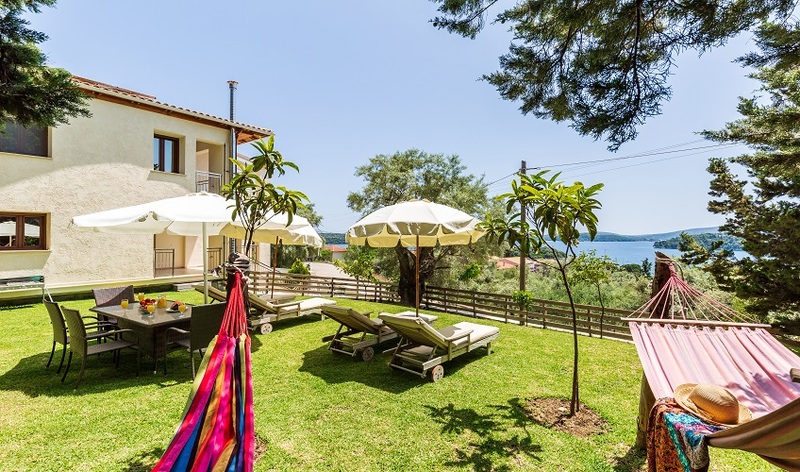 Quite simply, Villa Almyra has everything the discerning visitor might require, comfortable, contemporary interior, landscaped gardens and one of the finest situations in The Ionian.